How An Offline Retailer Can Go Online? Today is the era of internet. India is one of the fastest growing countries in terms of internet usage. According to the latest statistics1 India accounts for 8.33% share of world's internet users and its penetration is growing at a whopping 14% YOY. The internet penetration of 19% would grow many folds on successful implementation of 'Digital India Plan' of the government. The growth of internet has made many changes in the shopping behaviour of Indian customer. These days' people are more resorting to online shopping rather than searching for products offline. Consumers can sit at the comfort of their homes and buy their favourite goods just with the click of a button. Online retailers provides a large choice of products, home delivery, free shipping, cash on delivery, EMI options, return policy and much more. Moreover the products sold online are discounted and comes with great offers. Often the offline retailers who struggle with real estate, labour management, inventory management and customer service fail to match the online retailers in terms of price. This is one of the primary reason why e-retail industry is poised to grow from 10 to 20 billion USD by 2017-20202. To keep in pace with the fast changing retail landscape, many offline retailers are planning to host online stores. We provide you a detailed guide about successful migration to online retailing. A domain is your own unique business identity or in other words the name of the store over internet. You can choose domain name of your choice (ex. Your name, presents store name or anything you think interesting/lucky), however the same should be available to own it. A domain can be easily bought from multiple registrars available online. All you need to do is google 'buy domain'. Nowadays ecommerce websites can be easily built in few hours. If you plan to have your own technical team/freelancers, you can go ahead with multiple free and open-source content management system (CMS) like Magento, Joomla and WordPress for publishing web content . If you are ready to ready shell out more money, there are higher versions of these available with more features and functionalities. For example, Magento Community Edition is fitted with bundle of features, anyone can modify the core system of Community version. Developers can implement the core files and extend its functionality by adding new plug-in modules provided by other developers. Magento Enterprise/Professional Edition is derived from the Magento Community Edition and has the same core files. Unlike Community Edition, these are not free, but has more features and functionality. This edition is designed for businesses that require technical support with installation, usage, configuration, and troubleshooting. Although they have annual maintenance fees, neither Community nor Enterprise Editions include hosting. However the same can be safely outsourced to some proprietary E-commerce Service Providers (ESP) available in the market. An online product catalogue is basically an online version of your store products over internet. A catalogue is how your product would look to your potential customers. As your online store would not have a sales person, make sure your product description/visuals are strong enough to convert an online visitor to a customer. Few key items under cataloguing are. If you choose an ESP, the content generation can be done on the basis of the agreement you sign. If you are using open source or you want to outsource content generation, there are multiple agencies available in the market who charge you per item basis to create the product catalogue. If the customer plans to buy the product online, he will look for a safe and secure payment gateway. A payment gateway is an e-commerce application service provider service that authorizes credit card payments for e-businesses, online retailers, bricks and clicks, or traditional brick and mortar. It is the equivalent of a physical point of sale terminal located in most retail outlets. Special Services: Reverse Logistics, After-Sales Support, Replacements. Post-sales services are very important to build loyal customer base and encourage repeat purchase. Customer care, as a service, can be addressed by either hiring your own people who can work out of your shop, or by outsourcing the same to multiple. A payment gateway facilitates the transfer of information btetween a payment portal (such as a website, mobile phone or interactive voice response service) and the Front End Processor or acquiring bank. Many payment gateways also provide tools to automatically screen orders for fraud and calculate tax in real time prior to the authorization request being sent to the processor. Tools to detect fraud include geolocation, velocity pattern analysis, OFAC list lookups, 'black-list' lookups, delivery address verification, computer fingerprinting technology, identity morphing detection, and basic AVS (Address Verification System) checks. Customers are generally attracted by the design of website. 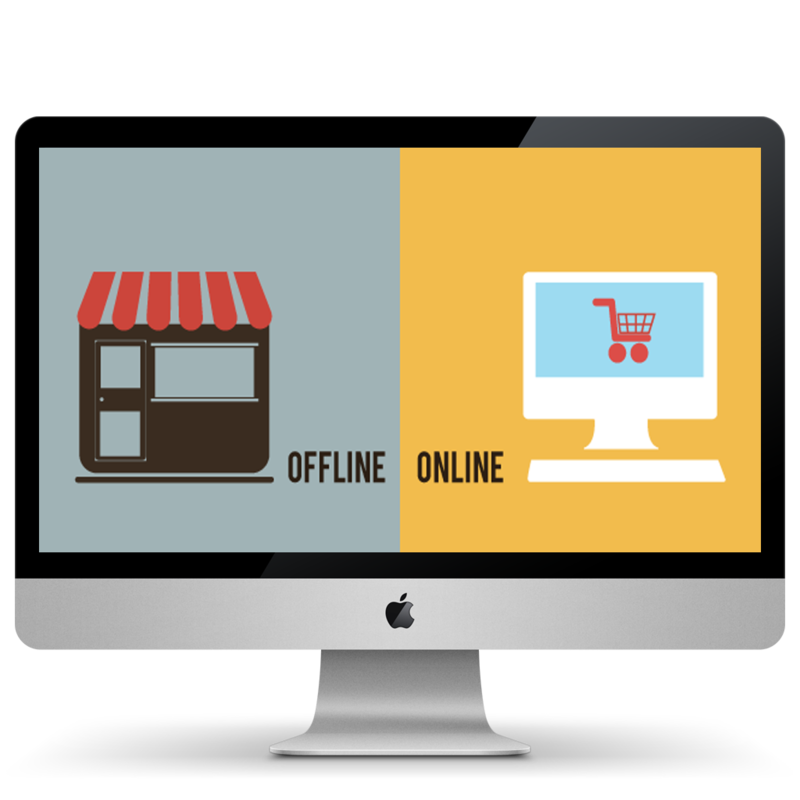 An offline retailer should understand the type of website that is needed for the business. The retailer should then choose the right products that they need to sell online. The retailer can also conduct a market survey that can give an idea about what the customers like. The demands of customers can change from time to time retailers should keep that in mind. First time online retailers should find out a cost effective way to set-up an online business. The online business should not cost too much to the retailer. Do it yourself (DIY) solutions can help get a better understanding of effective solutions. DIY solutions include examples like Shopify, Bigcartel, etc. While the above steps would help you build a new online store for your shop, making it profitable is still a challenge. To get noticed in this competition, one has to differentiate the online store from others and provide excellent service. This involves heavy marketing costs. Here, the answer could be a new technology integration (like Virtual Reality), and the key to service differentiation can be an Omni-channel strategy. A combination of the two would perhaps be the deciding factor for the success of any e-commerce initiative. The combination of the above solutions is now available in the form of a technology known as 'Visual Commerce' or Virtual Reality e-commerce. Visual Commerce gives an opportunity to offline retailers to take their stores, as it is, to consumers across the globe. Up until this invention of this technology, Omni-channel was only a word much abused by everyone associated with Retail. Visual Commerce has, in one stroke, defined this word for everyone. This virtual store walkthrough technology is going to be a real revolution in the retail segment.